I took one bite of this and pretty much didn’t put my fork down until I was perfectly stuffed! This meal is much faster to put together than a lasagna because you’re putting the fresh or frozen ravioli into the baking dish without cooking it. You add a little water, plus the water from the marinara sauce, and the ravioli is cooked to perfection. 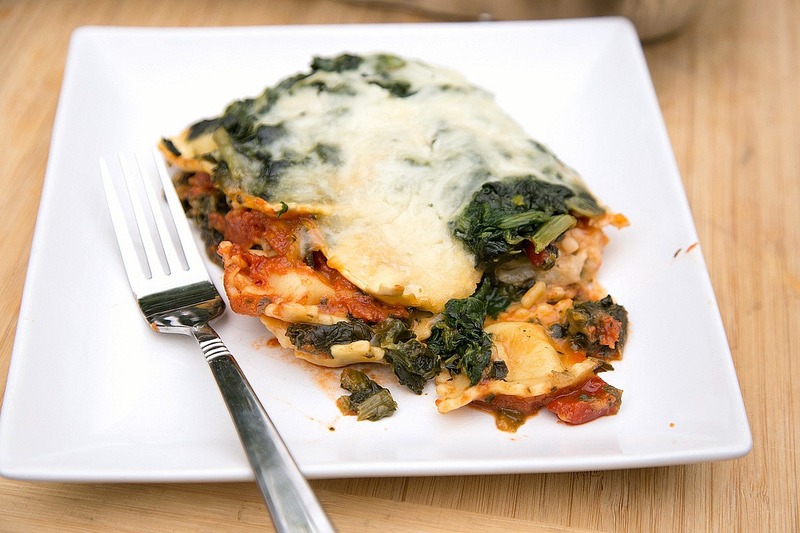 You will ‘layer’ the sauce, raviolis, spinach and cheese…so it’s like a lasagna. But it doesn’t feel near as cumbersome in putting it together! Hope you end up perfectly stuffed like I did! Preheat the oven to 400 F.Add a thin layer of spaghetti sauce to the bottom of a 9×13 inch baking dish. Add a single layer of ravioli, then half of the chopped spinach, then sprinkle half of the Parmesan and mozzarella cheeses. Repeat with another layer, then pour remaining spaghetti sauce over the top. Carefully add 1 cup warm water around the edges of the dish. Bake in the preheated oven for 25 minutes, or until raviolis are softened. 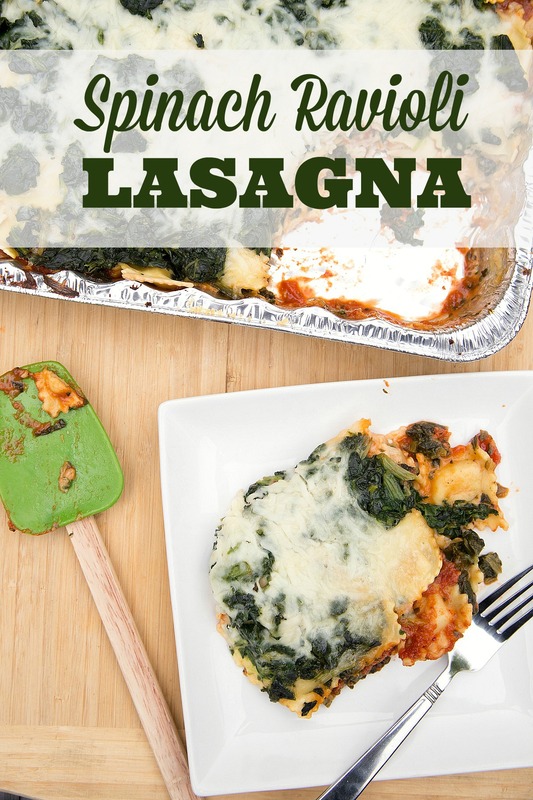 Serve Spinach Ravioli Lasagna with salad. So do you bake for 25 minutes or for 45? The top part says that the cooking time is 45 minutes but the instructions say 25. I kept forgiving to serve it with salad so ya know it’s good!